Greenstick fractures are unique to pediatric patients and are the most common type of fracture seen in children. Children's fractures are different from adults due to the anatomic and physiologic differences in the growing skeleton. A child's bones are softer and more porous than an adult's, resulting in a different pattern of fractures. A greenstick fracture is an incomplete break of a bone. According to MayoClinic.com, a child's bones are softer and more flexible than adults, so they are more likely to bend than to break completely. Similar to that of a young tree branch in the springtime, the bone will bend and and splinter but not break completely. A greenstick fracture may not be as obvious to see as other broken bones. Because the bone does not completely break, the extremity may appear to have a normal shape and size. The child may complain of pain when the area of the break is touched and they may be guarding the extremity complaining of pain when moving it. The physician will need to order X-rays to identify the fracture. 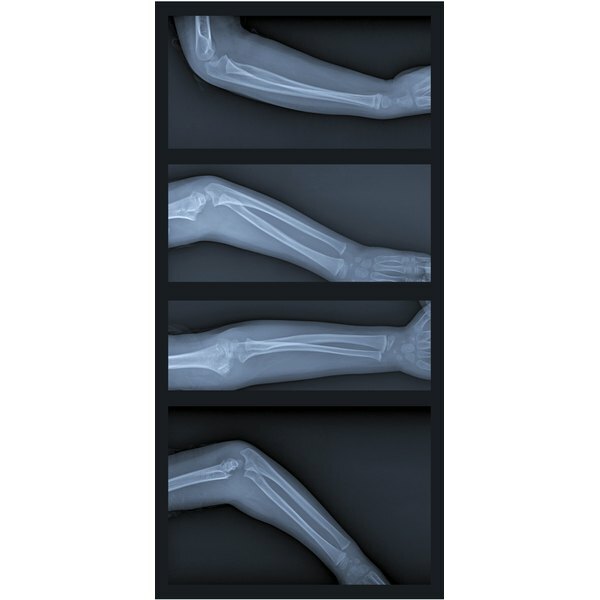 It is not uncommon for the physician to order X-rays of both uninjured and injured extremities to have comparison views, according to the text "Clinical Practice of Emergency Medicine." In some cases, a computerized tomography, or CT, scan may be ordered in addition to X-rays. The most common treatment for a greenstick fracture in the emergency department is splinting. The splint may be one made of plaster or fiberglass that is formed to the child's extremity. A splint is different than a cast. A cast wraps completely around the extremity where as a splint is like a half cast that is wrapped with an elastic bandage to hold it in place. Some pre-made commercial splints are available, but often they do not fit properly and results in poor immobilization of the fracture, notes "Clinical Practice of Emergency Medicine." Once a splint is applied, the patient will be instructed to follow up with a bone specialist, called an orthopedic physician for further evaluation. Patients will be instructed to apply ice and keep the extremity elevated intermittently for the first few days after the injury. Medication to help with the pain and swelling will be prescribed. Bone healing occurs over weeks or can take several months. A greenstick fracture will usually heal faster than a bone which is broken completely. The physician will want to see the patient periodically to assess how the fracture is healing. Repeat X-rays will be taken to monitor the healing process.